In a hot real estate market like Raleigh-Durham, every little boost to a home or business’ curb appeal goes a long way. One of the simplest ways to make your property stand out is to touch it up with a coat of paint. You don’t even have to repaint the entire exterior of the building. Painting the trim under the roof line, around windows and doors, and along other borders refreshes the overall aesthetic appearance. Everyone has driven by a home or business in the Triangle and had a bad first impression. For some reason, it gave off a dingy or poorly-maintained vibe. On closer inspection, you may have found that the trim’s tired look dragged down the whole presentation. Fading — Over time paint will lose its bright and lustrous look. When a quick scrub can’t restore its old glory, it may be time for a new coat of paint. Chipping — There are many reasons paint will chip. It could be that the sun or wind had extended and direct impact. Sometimes an animal or human activity can contribute to chipping paint. Or, quite simply, the paint may just have reached its expiration date. Contrast — If you can no longer get a sharp contrast between the trim and the paint on the siding, consider repainting. Colors are generally chosen to complement each other, and as this effect fades, that dingy effect emerges. Those who operate rental properties know how vital it is to attract good tenants. If you want someone who will respect your property, you should set a good example. A property that presents itself well sets exactly this tone. 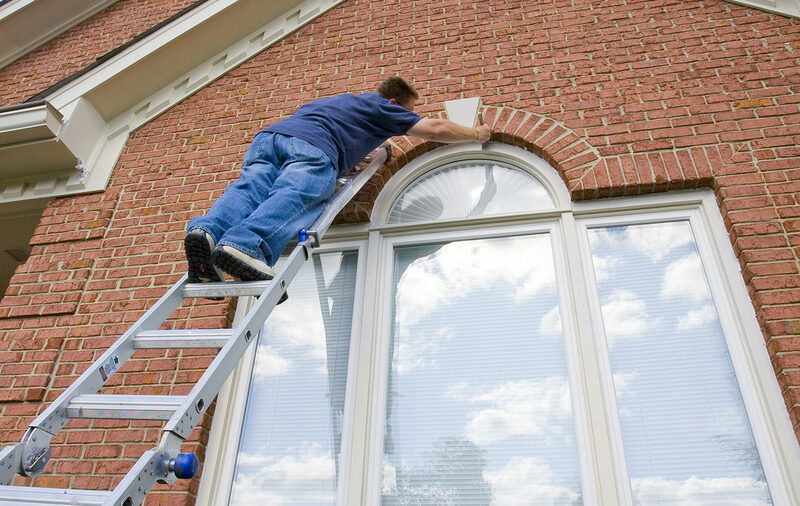 Before selling a home, it is also a good idea to have the trim repainted. As people are considering whether or not to purchase your home, having good color and contrast on the exterior will turn more heads and encourage them to take a look inside. Attracting more customers at your business is another excellent reason to consider painting your exterior trim. Durham, Raleigh, Cary and Chapel Hill are all experiencing a boom in new population and new business. If you want to win over these newcomers and get the edge on the competition, you’ll want a sharp, presentable curb view. Painting exterior trim is an ideal project because it provides a significant impact with a minimal comparative price tag. Robert Gordon Services paints trim in every corner of the Triangle for both home and business owners. We use Sherwin Williams paints for their high quality, and our attention to detail compliments these great products well. With a consistent five-star rating from Home Advisor and regular accolades from Angie’s List, we believe our 15 years of experience in the area speaks for itself. Give us a call at 919-250-8038 to get a free estimate on painting your exterior trim.